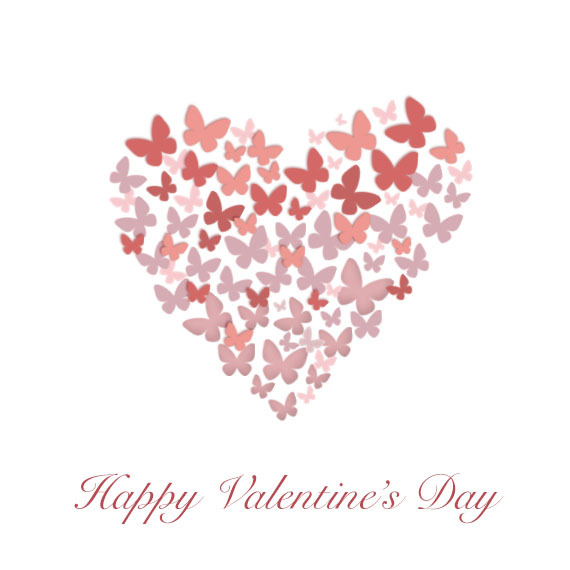 Beautiful image with pink butterflies in a heart shape with Happy Valentine’s Day message. This cute butterfly heart is free to download. Send it to someone special.